I’ve just posted tables of contents for both of my short story collections, Tales from Jevlir: Oddballs, and Stories of the Way. A number of the stories in both collections were taken from this blog, but there are a few new stories in each book. The Kindle editions are just $0.99. Links to the Tables of Contents are on the Books page. The winner of my giveaway via the Christian Book Lovers Blog Hop Jodi Woody, who entered by every possible means. It was the Twitter entry that won! She will be receiving an e-mail notifying her of her win. July 1: It appears that the hop is over! I’ll have the winner posted here before the end of the day. I had a number of comments via social media, so I need to collate the entries. No, you don’t have to hop up and down or run around. You just have to hop from blog to blog with your fingers. 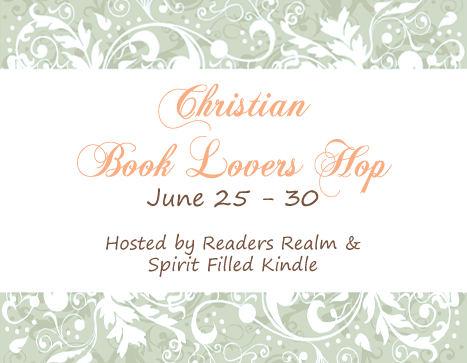 The Christian Book Lovers Hop is sponsored by The Readers’ Realm and Spirit Filled Kindle. How does this work? Well, this is a first for me. Yes, I’ve done giveaways for my company (Energion Publications), but I haven’t done one on a blog hop, and I haven’t done one from my personal blog. Each blog on the list offers something free to readers, and also links to the list of blogs who are participating in the hop. You’ll find this list at the bottom of this post. Be sure to check out the other offers. I’m offering one copy of my book Stories of the Way, a collection of short stories designed to challenge your thinking about spiritual things. And since that’s a fairly small book, and just a $9.99 value, I’m also offering one more of my books (+ Tales from Jevlir, you choose), and one book you can choose from my company’s catalog (main imprint, EnerPower Press, and Enzar Empire Press). That’s a total of three free books! If you’re the winner, just let me know which additional books you’d like when I notify you that you’re the winner. Just comment on this post. Since I’m trying to track comments on Facebook, Twitter, and Google+ as well, sharing the link or commenting there should work as well. You can have one entry for each of those three social media platforms. Just comment or share. One thing I’ve learned from previous giveaways is that occasionally someone wins and then I can’t contact them. Make sure that I can discover who you are so I can let you know you won. Worst case, check back here and look for a comment and post announcing the winner. Yes, my company has a Christmas package named for me, and it includes both of the books that are related to this blog, Tales from Jevlir: Oddballs and Stories of the Way, along with my non-fiction book Not Ashamed of the Gospel: Confessions of a Liberal Charismatic. The From Publisher Henry Neufeld package is available for just $21.99 through January 3, but you’d need to order it by the end of the week to get it by Christmas. Since I began publishing some of my “thinking” short stories on this blog, a number of people have suggested that I publish a collection. Well, how can a writer an publisher ignore such suggestions? I’ve done it! I’m embedding the press release below. It should be shipping December 5, 2011, and that means you can have a copy by Christmas. We should have a Kindle edition available within the week. As noted in the description, most of the stories are from this blog, though some have been edited. I did write two new stories, “The Juror’s Oath” and “The Magic Sword” specifically for this collection. I also added selected scripture readings and thought questions to each one for people who might want to use the material in discussions. I have reduced the price of the Kindle edition of Tales from Jevlir: Oddballs [publisher catalog page] to $0.99 from $2.99. Now such a price reduction could look desperate as a result of poor sales. Well, it’s not desperate, but it is due to poor sales. I didn’t expect too much, considering that most of the stories in the book come directly from this blog. Still, there are two stories you won’t have seen here. So now for just 99 cents you can have the collection on your Kindle. From now through the end of the year, I’m offering autographed copies (if you wish) of the book Tales from Jevlir for just $5.00 shipped. That’s right! Just $5, + sales tax if you live in Florida. No other charges. If you fill in the line about the autograph, letting me know who to autograph the book to, I’ll do it!